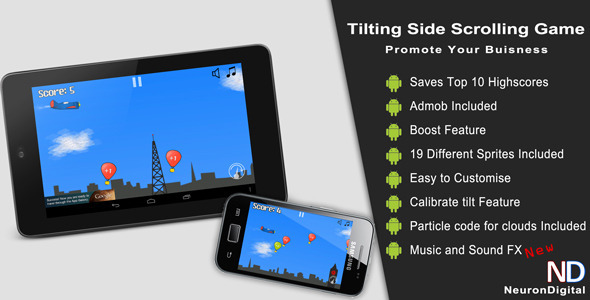 This is a native Android side scrolling game that uses the device accelerometer to control a plane. The aim of the player is to catch as many good items (balloons) as he can while keep away from dangerous items (bombs and towers). 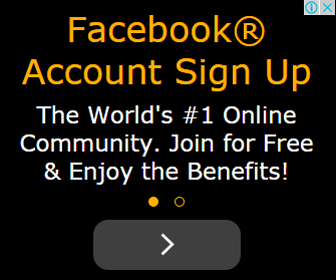 Includes AdMob. Includes AdMob � Make money from Ads easily. 19 Different Sprites Included � All sprites have their .ai or .psd file included for easy editing. Infinite Scrolling � This is a never ending game. It continues until the player can�t handle anymore. Boost Feature � The player can push a boost button during gameplay to speed up the plane. Pause Feature � Player can pause game during gameplay. Particle code Included � The clouds are generated ingame live with a particle code. Video Tutorial Included � A narrated video tutorial is included for a quick start. Top 10 High Scores � The game saves the top 10 High Scores on the user�s Device. Uses Accelerometer � The device inbuilt accelerometer is used to detect tilting and move the plane.